Disclosure: This is a sponsored post. We received compensation from DreamCloud in exchange for our honest review only. All opinions expressed here are our own. By Dean Stephens Last updated Apr 15, 2019 We may get a commission for purchases made via our links. Here's why. If you've ever wondered what it'd be like to sleep on a cloud, you can't get much closer than this. 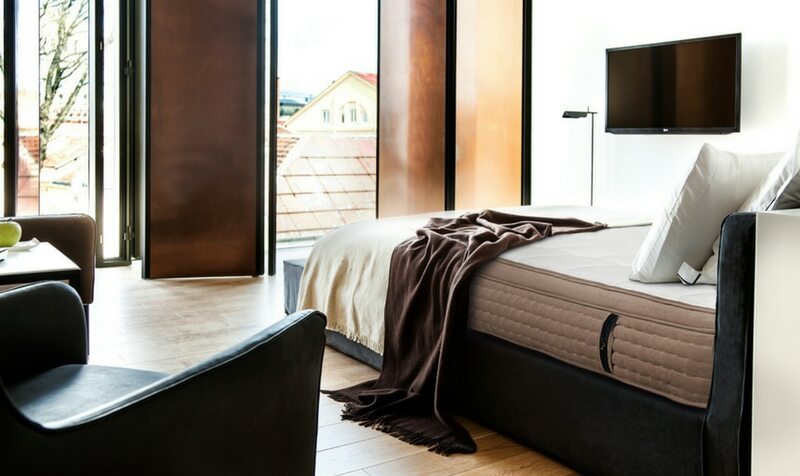 Although it's a relatively new entrant to the luxury hybrid mattress scene, DreamCloud's quality of build, and industry-leading warranty options offers you peace of mind and value-for-money you'll struggle to match elsewhere. We’ve all heard the guy bragging about how little sleep he needs. Hey, you’ve probably done it yourself. 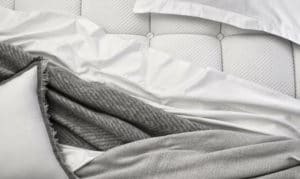 Sleep is crucial to staying healthy and productive—and the quality of your mattress matters more than you think. That’s why we decided to take a look at DreamCloud, the new luxury hybrid mattress brand that have been stirring up a major buzz since they arrived on the better-sleep scene last year. Their namesake mattress, the “DreamCloud” is a fair whack cheaper than many other high-end mattresses we found. And they deliver straight to your door. We’ve looked in depth at the DreamCloud’s features, pros, and cons to see if it lives up to the hype. Why Is It Important For Guys to Get a Good Night’s Sleep? How Can a Good Mattress Make a Difference? We spend about a third of our lives sleeping (well, if we’re lucky). And it’s not lost time. Getting enough sleep is crucial to your health, happiness, work performance, and even your relationships. And though it’s important for everybody, there’s evidence that guys are actually more affected by sleep deprivation than women, and that their internal clocks are set to wake up later in the day. Though we often underestimate the power of sleep, it’s key to staving off depression and anxiety, staying alert, and avoiding the irritability that can kill your everyday mood fast. And as it turns out, there’s not just “beauty sleep,” but “brawn sleep,” too. Sleep helps you build and maintain muscle, lose fat, and stay more mentally focused. Why consider a luxury mattress like DreamCloud at all? All those nights on hostel mattresses and dorm room twin beds (remember being wedged in there with a stranger?) might have seemed harmless, but a good mattress actually matters quite a bit. Obviously, a bad mattress can make you do that neck-cracking thing your girlfriend hates and force yourself to begrudgingly consider yoga, but it can also add to your overall stress level. A new, high-quality mattress can decrease your overall pain and even increase your work productivity and life satisfaction. That’s where quality mattresses like DreamCloud come in. Let’s break it down. Eight layers of dense memory foam goodness. Topped with hand-tufted Cashmere blend cover. 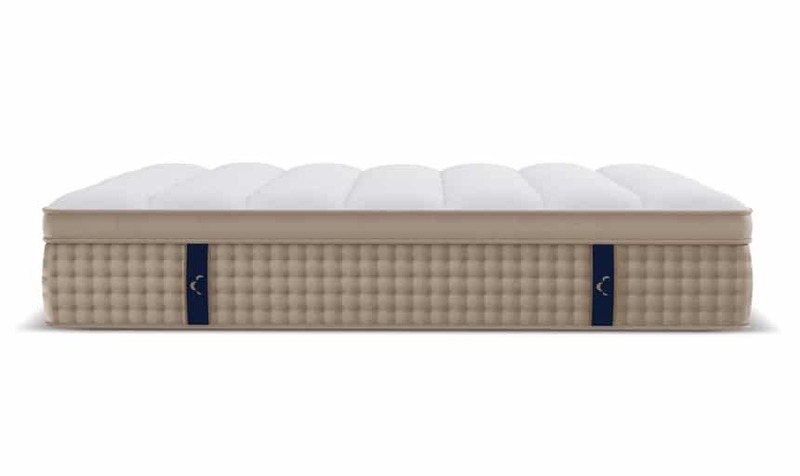 The first thing to know about the DreamCloud mattress is that it’s ultra-tall at 15 inches (leaving room for all those different layers). It comes in several sizes ranging from twin to California king. 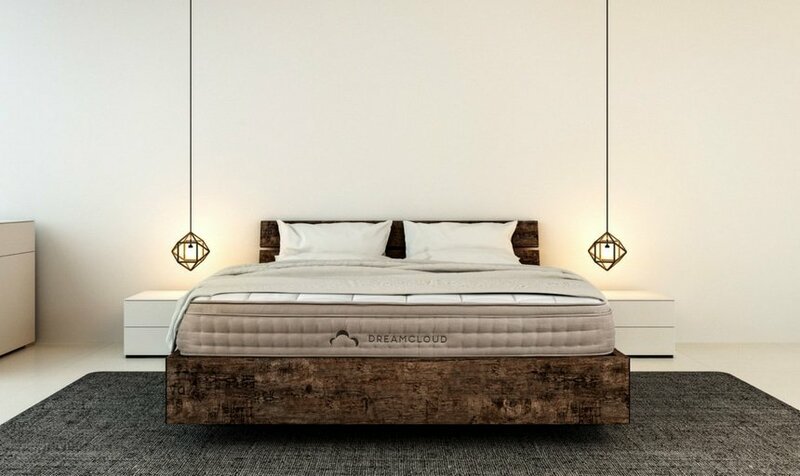 DreamCloud is a “hybrid” mattress, meaning it’s got all the premium bells and whistles you’d expect from a high-end mattress in one comfy package. It has eight layers of dense memory foam and natural latex. 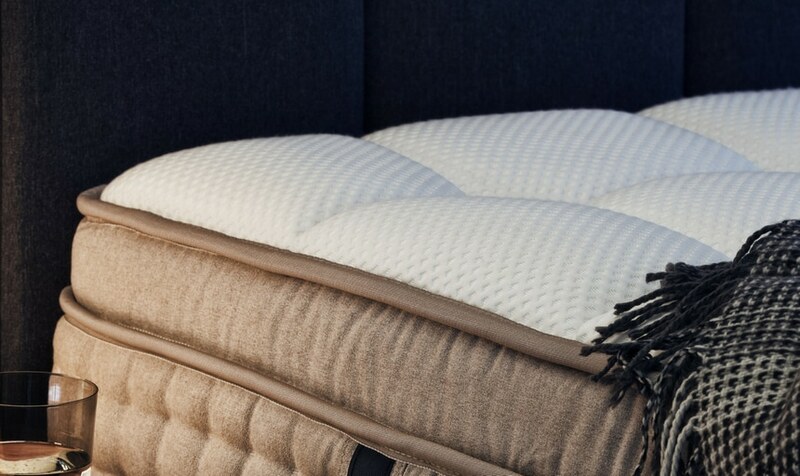 Encased hypoallergenic coils make for a deep, plush night of sleep. And don’t worry if you have a latex allergy; the latex layer is deep within the mattress, so you’re unlikely to be affected. DreamCloud is topped off by a “hand-tufted” (meaning hand-woven) Cashmere blend cover. The double tufting leaves the mattress soft-yet-firm—you know, I think I’ve heard that phrase somewhere before? Now, here’s the key thing that sets DreamCloud apart: It’s a direct-to-consumer mattress, meaning it gets shipped and delivered for free right to your door. This is what allows DreamCloud to charge you less (from $799 for a twin to $1,499 for a Cal king) for premium construction, because direct delivery (mostly) cuts out the middleman. And you get peace of mind as well. DreamCloud’s Everlong warranty means that you have a full year to decide if DreamCloud is right for you, and if you (or anybody you share your bed with) isn’t into it, you can return it for a full refund. The best of all luxury mattress worlds: DreamCloud is a hybrid mattress. Latex! Coils! Memory foam! It’s got everything. No matter what you like best in a sleep space, you’ll find it here. With prices ranging from $799 to $1,499, DreamCloud offers solid value; it’s a true luxury mattress crafted with premium materials without the accompanying sky-high price. Comparable brands in stores sell for between $3,500 and $6,000. The optional white glove service is a nice touch (literally!). Reviewers really like that your new mattress can be set up for you in a room of your choice. The Everlong Warranty offered by DreamCloud protects your purchase with a nearly airtight seal. The warranty includes a 365-day free trial, free professional cleaning once in the lifetime of the mattress, and re-conditioning “like new” if you need it after five years of ownership. 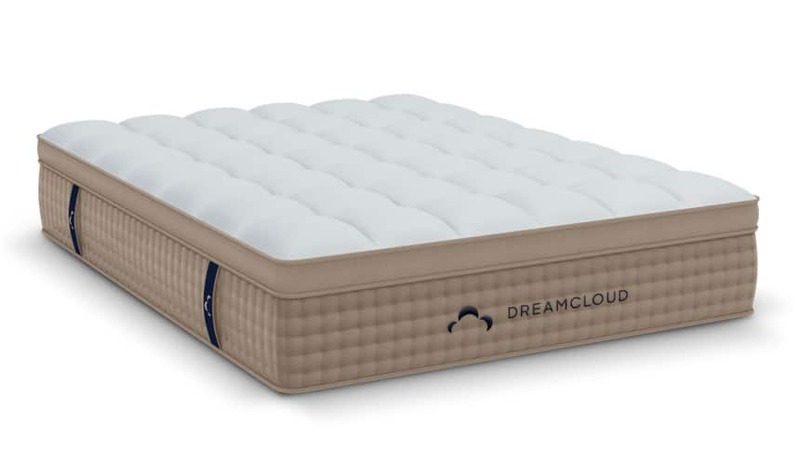 Unlike some other luxury mattresses, DreamCloud only comes in one level of firmness. So if you don’t especially like a firm mattress (or if your preference is for a memory foam), DreamCloud might not be the best choice for you. It’s definitely on the firmer-than-average side, and some sleepers might find it just a tad much. The DreamCloud doesn’t come in as wide a variety of sizes as you might like. It’s a tall mattress at 15 inches, so it might not fit your space. It’s also quite heavy making it difficult to move. Because DreamCloud hasn’t been around very long, we can’t judge the mattress’ long-term durability as much as we might like. 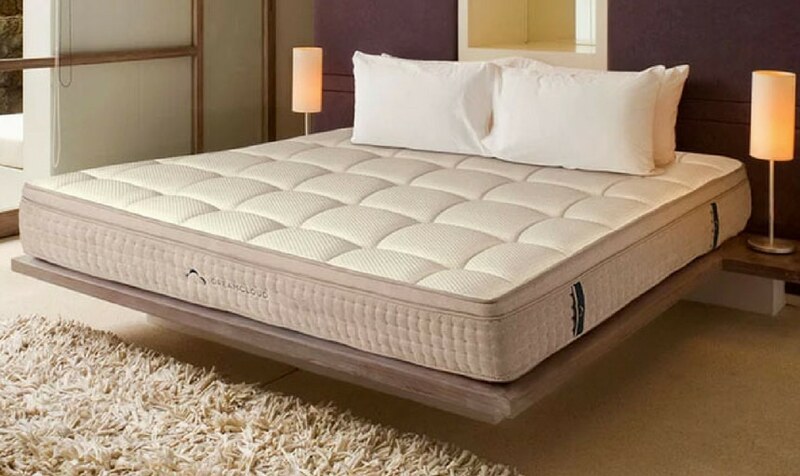 Particularly at its comparatively low price point, DreamCloud is one of the best new luxury mattresses on the market. The eight layers of foam, coils, latex, and double-tufted Cashmere blend make for an even-all-over plush-firm sleeping experience. 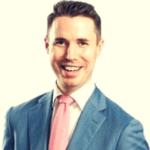 And with free shipping, optional white glove delivery and setup service, and a 365-day free trial, DreamCloud is a hard-to-beat deal. Time will tell if it’s durable in the long term, and this isn’t a purchase you want to make if you really dislike a firm mattress. Otherwise, though, if you’re looking to make a major sleep upgrade while sticking to your budget, DreamCloud is a great option. Well, you’ve floated all the way to the end of this review. Have you tried a DreamCloud mattress? We’d love to hear what you think. Chat with us about it in the comments. If not, why not give it a try? With their Everlong warranty and 365-night trial, you’ve only got great sleep to lose.